First of all, from my earliest memory in school, I loved to read. My first grade teacher Mrs. Bell introduced wonderful stories to me. I was a fast learner, and she nurtured my appetite. My older sister taught me to read before I entered school, but Mrs. Bell unlocked my imagination. Naturally, I did well through school with short story assignments and poetry. The writing bug was taking hold. Marriage, children, and life in general side-tracked that interest until about ten years ago. The inspiration to really take writing seriously came through real life experiences. Someone said, you should write a book and so I did! An Unlikely Arrangement is the first in a series I call The Velvet Shoe Collection. These books are romantic mysteries, with twists and turns the reader won’t see coming. They are actually based on the real life situation of my own grandmother’s arranged marriage in the 1920’s. She was a rebel, always in trouble, and her parents decided to arrange a proper marriage for her. Her rebelliousness led to a series of events that would change her life forever. At seventeen, she witnesses a broken engagement, a kidnapping and a murder. Set in 1920’s Detroit, Michigan, the mob plays a part in this suspenseful story. She doesn’t expect to even like the man they choose for her, but her world explodes when she first lays eyes on this handsome man. The emotional journey Ruth goes through is not unlike what young women face today. I hope through this story we can feel a kindred to all women no matter what era they lived. I’m working on the second in the sequel right now. It’s called An Unlikely Beginning, and it picks up the story from the first book after the surprise ending leaves you wanting more. There will be three books in this series. I also have a romantic comedy in the works. It’s a modern day story of a single mom, trying to maintain her female identity while raising two sons and working two jobs. 5. What advice would you give to an aspiring author? I would tell any aspiring author to study, study, study. Usually, everyone says follow your dream, keep on keeping on, etc., and that is important. But what really works for new writers, especially in this time of instant publication, is to study the craft! The only way to stand out in this crowded profession is to be the absolute best you can be. I read a lot of the tried and true authors, the ones that are successful. I ‘listen’ to the cadence or the flow as I read. Watch your grammar and punctuation, and polish, polish, polish! Thank you so much for this interview Patty. It’s a pleasure and an honor! Thank you for having me, Stephanie. I really enjoyed it! 1. Who or what inspired you to become and author? Making the transition from bench scientist to science writer, I had the bright idea of taking creative writing classes to help me better my prose style. On the first day of the “Introduction to the Novel” class, the Stegner Fellow who was teaching it informed us that we had to produce the first five pages of our next novel. Ever the good student, I took a deep breath and complied. I have never looked back. 2. What is you favorite book you have written and why? Since I’ve only published one novel, I have to say that it is my favorite. Titled Thwarted Queen, it is the saga of the Yorks, Lancasters and Nevilles, whose family feud started the Wars of the Roses. Told by Lady Cecylee Neville (1415-1495), the Thwarted Queen. 2. What inspired you to write about Lady Cecylee? My sister has a habit of taping BBC programs that she thinks I might like, so that when I visit her in England I can watch them. On this particular occasion, she taped a program in which Tony Robinson (well-known in the UK for popularizing history with such programs as The 10 Worst Jobs in the Middle Ages) was talking about the mysterious disappearance of the Princes in the Tower, commonly thought to have been murdered by their Wicked Uncle Richard III. He casually mentioned that British historian Michael K. Jones had been going through the archives of Rouen cathedral to do research on Richard III’s parents, Richard of York and Lady Cecylee Neville, and discovered that Richard of York was absent during a 5-week period of the summer of 1441. Nine months later, a son Edward was born. This tidbit gives credence to the idea that Edward might have been illegitimate. None of this would have mattered that much, except that Edward became King Edward IV of England, and the Queen of England traces her ancestry through him. But my burning question was: What on earth did Cecylee say to her husband when he returned from his summer campaign. And that is how the novel started. 3. How do you choose you subjects to write about? Ideas come to me. Not a very helpful answer, but it’s true. My second novel (forthcoming) titled Family Splinters came about because I had this vague idea about a young woman who was forced to leave home for some scandalous reason, and her sister brought her her violin. My third novel is a sequel to my second novel, and that came about because I imagined what would happen if Grace (the violinist in the second novel) was forced to encounter an old flame that she met in the second novel. My fourth novel hasn’t been written yet, because I haven’t finished doing the preliminary research. But I can tell you that it’s set in Sicily during the Middle Ages, and I’m traveling there next month to get some ideas! Find some time to work at writing every day. Write non-fiction. Expand your vocabulary. Do a daily word prompt. Do writing drills. Take classes in writing. Because if you are able to produce glorious prose with well-chosen words, you will not be confined to writing plot-driven stories, you will be able to write whatever you like. That is the pragmatic reason. The aesthetic reason is that we speak this glorious & magnificent language called English, so why not make it your own by getting to know its weird and wonderful corners? Thank you Stephanie for this interview. It was a pleasure to talk to you. now on Amazon, Barnes & Noble, Goodreads, Redroom and Smashwords. Born and raised in Surrey, England, CYNTHIA SALLY HAGGARD has lived in the United States for twenty-nine years. She has had four careers: violinist, cognitive scientist, medical writer and novelist. Yes, she is related to H. Rider Haggard, the author of SHE and KING SOLOMONS’S MINES. (H. Rider Haggard was a younger brother of the author’s great-grandfather.) 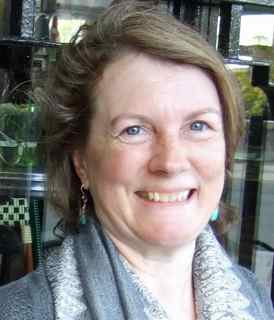 Cynthia Sally Haggard is a member of the Historical Novel Society. Thank you Cynthia for giving me the honor of this wonderful Interview and a giveaway. Cynthis Haggard is giving a copy of her novel THWARTED QUEEN to a lucky winner! This giveaway will end April 11th. So make sure to enter by then. The winner will be announced on April 12th. 1. Please leave a comment with your name and email address below in the comment area to enter the giveaway. 5. 2 points if you read and leave a comment on one of the author interviews on Layered Pages. The winners will be announced on Layered Pages and by via email. 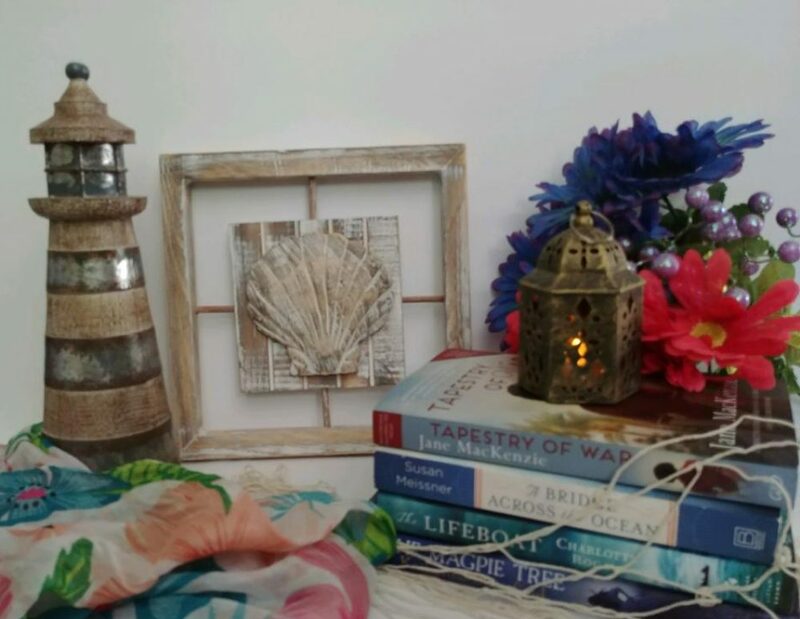 Big Contest at Ladies & Literature! Author Elena Aitken is holding a contest on Ladies & Literaure. There will be NINE lucky winners! Ladies if you’re not a member and would like to participate please join our lovely and excting book club. We’re a ladies club only. This is the first time I’ve read a story by Lucinda. I had the pleasure of winning this through a contest.The characters where so lively and entertaining. I was impressed with the character building as well. I don’t read a lot of Georgian novels but I enjoyed this one very much and look forward to reading more of Lucinda’s stories. I rated this book 3 1/2 stars. This story has two main characters. Olivia Westerly and Ethan Alan Doyle. What wonderful characters they are! Olivia who avoids marriage until later in life-which was unheard of during the early 1900’s-only to become a widow shortly after. Allan with many kept secrets surrounding tragic circumstances. Fate I believe brings them together. I felt such deep emotions and sympathy for them. Only hoping the best for them. Such a beautiful heart warming story. A must read! I rated this book four stars. 2. What is your favorite book you have written and why? Although it’s virtually impossible to narrow it down to a single book, I’m fondest of the books written in a Southern voice. Spare Change and The Twelfth Child, a book scheduled to be released this spring, are certainly high on my list. I’m obsessive about the craft of writing and I try to make every book better than the last one—so I hope that what will one day be my favorite has yet to be written. I think writers tend to favor the books that reflect the most poignant aspects of their life. For me, it’s my Southern heritage and I hear bits and pieces of my mother’s voice in all of my Southern stories. 3. Please tell us a little bit about your new book Spare Change. 4. In Spare Change who was you favorite character and least favorite to write about? The story starts with Olivia and she was the character my mind first created; I love her independence and off-the-wall way of rationalizing what she wants to believe, however, Ethan Allen stole my heart. I fell in love with his resilience and determination, and I grew to love him more with every page I wrote. I loved discovering that beneath his tough exterior he was a frightened child trying very hard to be brave. Ethan Allen is one character that I just can’t let go of, whereas other characters from other books have moved aside to make room for newcomers. 5. What is your next book project? Two novels are already in the publishing pipeline, The Twelfth Child will be released this Spring and What Matters Most in the Winter of 2012/2013. But for several months I have been struggling to find the next story I want to write, then I suddenly realized Ethan Allen was the reason I couldn’t move on. 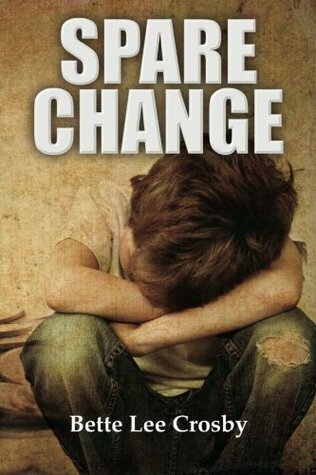 Now I’m certain of what I want to write; it is a sequel to Spare Change. A grown-up Ethan Allen is the protagonist and the story revolves around him. I can’t say more without blurting out a spoiler that might ruin Spare Change for those who haven’t yet read it. 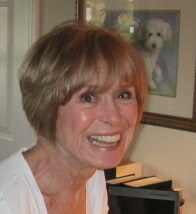 Crosby’s work was first recognized in 2006 when she received The National League of American Pen Women Award for a then unpublished manuscript. 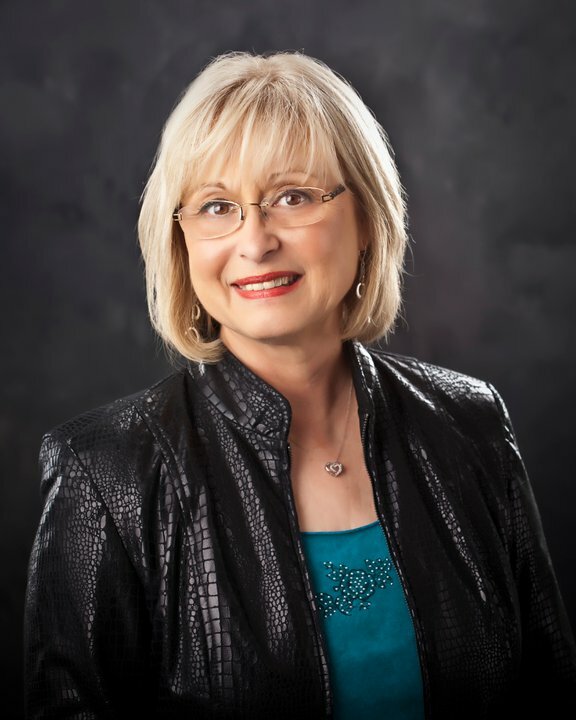 Since then, she has gone on to win several more awards, including a second NLAPW award, three Royal Palm Literary Awards, the FPA President’s Book Award Gold Medal and most recently three 2011 Reader’s View Awards, in categories of General Fiction, Southeast Fiction and Best Contemporary Drama. Her published works to date are: Girl Child (2007), Cracks in the Sidewalk (2009), Spare Change (2011), and Life in the Land of IS…the story of Lani Deauville, the world’s longest living quadriplegic (2012). The Twelfth Child is scheduled for release in the spring of 2012. Thank you Bette for this delightful interview! Author Tracy Chevalier is one of my all time favorite HF Authors. She is a New York Times bestselling author. Two lucky winners will receive a hardback copy of this wonderful story, Remarkable Creatures. The contest ends on April 15th and the winners will be announced on April 16th. 2. Please leave a comment with your name and email address below in the comment area to enter the giveaway. 6. The winners will be announced on Layered Pages and by via email.